Yabangee, the website devoted to informing expats of events in Istanbul; Istanbul&I, a youth empowerment and social change nongovernmental organization devoted to assisting the disadvantaged and displaced; and Theme Parties Istanbul, spearheaded by a Canadian and German couple who organize fun theme parties for foreigners, have got you covered this month whether you want to learn about new cultures, dine on international cuisine, enjoy a variety of music genres or do good for others. 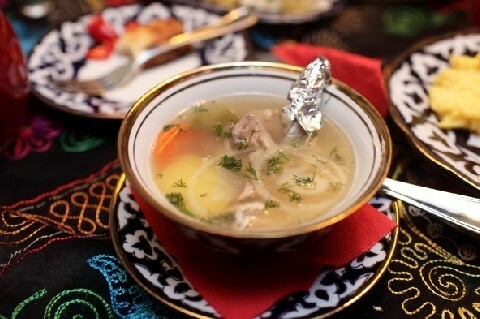 Shorpo soup from Uyghur cuisine. Istanbul&I is a volunteer youth community devoted to youth empowerment, social impact and helping disadvantaged and displaced communities. There are upwards of 300 volunteers from over 50 different countries and the organization regularly hosts events and activities as well as weekly speaking clubs in held in Turkish, English, French and Arabic in their center in Karaköy. On Friday, June 29, from 7 p.m. to 9 p.m., Istanbul&I will be kicking off their new fundraiser series with a "Taste of Uyghur," in which participants can enjoy Uyghur cuisine and learn more about the culture. 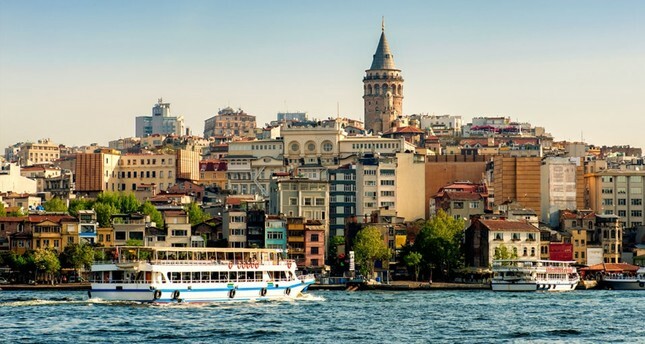 Yabangee, the website geared for and run by Istanbul-based expats is kicking off summer with an "International Farewell Party" to say goodbye to those foreigners who will be moving on from Istanbul and/or spending the summer out of town. This event is free and will be taking place Friday, June 29 at Kafepi in Asmalı Mescit with doors opening at 10 p.m.
Theme Parties Istanbul, started by a Canadian-German couple residing in Istanbul with the intention of creating events to bring together the city's English-speaking community, will be hosting an "AmeriCanadian Trivia Night" this Saturday, June 30 at SUPA Suriye Pasajı Salon off İstiklal Avenue that will be taking place from 8 p.m. to midnight. Doors will open at 8 p.m. and the quiz, pitting U.S. trivia against questions about Canada, will begin at 9 p.m. Early bird tickets to attend are TL 40 (about $9) or entrance will be TL 50 at the door. Yabangee, a website devoted to informing foreigners about what is going on in Istanbul as well as creating a few themselves, will be hosting their regular "Hip Hop and R&B Night" on Sunday, July 1 from 10:30 p.m. to 4 a.m. at Beat, located in the heart of Beyoğlu on Yeşilçam Street. Entrance is free and drinks are TL 50 until midnight. Standup Turkey presents up-and-coming comedians from all over the world, who perform standup comedy routines in English and happen to reside in Istanbul. Every month they host a special show featuring seven comedians from countries, such as the U.S., the U.K., Egypt and Iran to name just a few, who take the stage at BKM Mutfak Çarşı. Standup Turkey returns this Tuesday, July 3 with a "Summer Special" with doors opening at 8 p.m. and the show taking place between 9 p.m. and 10:30 p.m. Tickets are TL 34 and are available on Biletix and at the door on the night. On Friday, July 6, the volunteer nonprofit Istanbul&I returns with another fundraiser and culinary introduction; this time with "Taste of Syria." An opportunity to enjoy Syrian food and to learn more about the culture, the dinner will take place from 7 p.m. to 9 p.m. at their center in Karaköy. On Saturday, July 7, Theme Parties Istanbul will be hosting a "Blind Date Masquerade" at SUPA Suriye Pasajı in Beyoğlu. Forget Tinder, try your luck at meeting real people firsthand with an emphasis on the expat crowd. There will also be a prize of a two-person stay in a luxurious Istanbul apartment for those who have the most horrific dating story they want to read aloud for an audience. Doors open at 8 p.m. and the readings will begin at 10 p.m. The cost to attend is TL 75 for advance-purchase tickets and TL 100 at the door. Guests are advised to wear a mask and dress in semi-formal attire and get ready to speak English the whole night through. The youth empowerment volunteer-based organization Istanbul&I will be hosting a special talk titled "Islam in Urban Spaces," which will be given by Syracuse University professor and Fulbright fellow Timur Hammond on Saturday, July 7 from 7 p.m. to 9 p.m. at the Istanbul&I center in Karaköy. Yabangee, a website for expats in Istanbul that also hosts events of their own, returns with their regular event series "Oldies Night: A Journey to the Past" on Sunday, July 8. A great opportunity to groove to your favorite tunes at Beat in Beyoğlu, entrance is free. Doors open at 10:30 p.m. and drinks will be discounted until midnight. On Friday, July 13, the volunteer-based and multicultural youth empowerment and social impact organization Istanbul&I will be hosting a fundraising Persian pop-up dinner featuring Iranian, Afghan and Tajik cuisines from 7 p.m. to 9 p.m. at their center in Karaköy. This will be a five-course dinner with music and entertainment and all of the proceeds will be going to charity. Keep in mind prior registration for this event is required. Istanbul&I is at it again, this time with a charity flea market in Turkish Bit Pazarı, which will take place over the weekend of July 14 to 15 from 11 a.m. to 8 p.m. at their center in Karaköy. Istanbul&I will also be accepting donations of secondhand clothes, jewelry and other items up until July 10 if you want to clear out your stuff for a good cause. On Friday, July 20, Istanbul&I will be hosting another fundraiser, this time the "Sounds of Syria" in which you can listen to musical traditions from the Syrian culture, which will take place at their center in Karaköy from 7 p.m. to 9 p.m.
On Saturday, July 28, Istanbul&I will be hosting an all-female comedy show entitled "Ha Ha Hanimlar Revenge of the Teyze" from 7 p.m. to 10 p.m. at Damdayiz, an innovative co-working space in Taksim.